- All original patterns, ranging from simple to moderately intricate, to suit your coloring mood any day. No stock art is used here so you won’t have to worry about finding duplicates in books that you may already have. 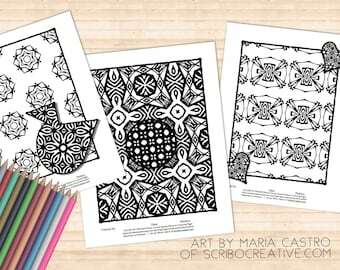 - Forty stress-relieving pattern coloring pages plus ten bonus coloring pages from other Color My Moods Adult Coloring Books and Journals for a total of fifty coloring pages to help you relax and unwind. 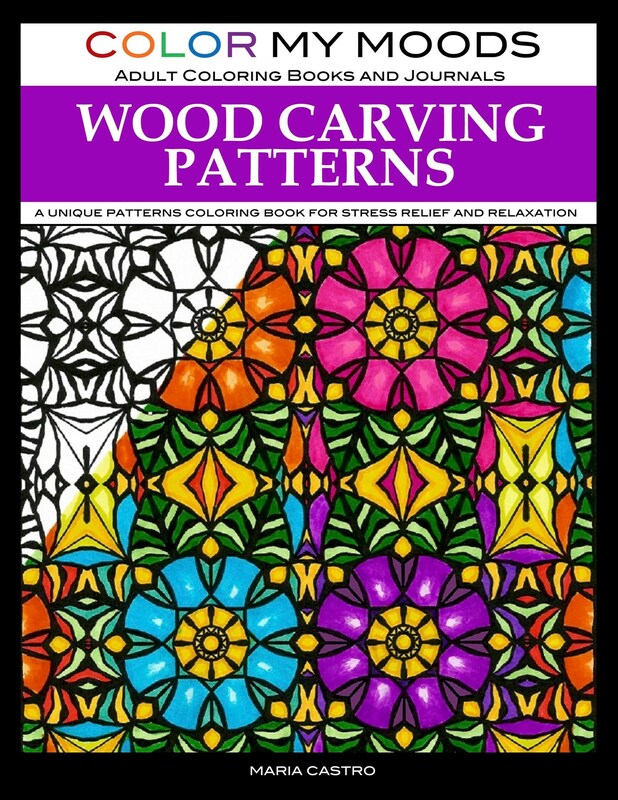 - Wood Carving Patterns are fun and relaxing to color. You can free your mind and release your creativity — there are no right or wrong colors. - Have fun with your finished, colored Wood Carving Patterns! Pattern pages are so versatile. You can use them in various craft projects such as cards, bookmarks, gift tags, and more. If you love Color My Moods Adult Coloring Books and Journals Wood Carving Patterns, check out our other coloring books and coloring journals: http://www.scribocreative.com/products/. For more coloring inspiration, freebies and exclusive discounts, subscribe to our enews: http://www.scribocreative.com/enews/. Post your colored pages on social media with #scribocreative #colormymoods #woodcarvingpatterns and you might just get a surprise from us! To connect with us on Facebook, Instagram, Pinterest, Twitter, and more, visit: http://www.scribocreative.com/about/. Have a good-MOOD coloring day, every day! All rights reserved. Printing of this PDF coloring book is allowed for personal use only. *You'll be downloading the entire book divided into 5 PDF files. We'll have to email you the bonus coloring pages file separately (since Etsy has a maximum of 5-file upload). Please email request to info [!at] scribocreative.com. Thank you for stopping by and happy shopping! Great designs and fun for the whole family!